Zoe loves to dance and is always dancing. When school started this year, I decided to put Zoe in a dance class. The class is a little bit chaotic, five-two year olds in one room for 45 minutes. They have a really hard time staying focused, so it is rare for more than one of them to be dancing at a time. Zoe loves it though. 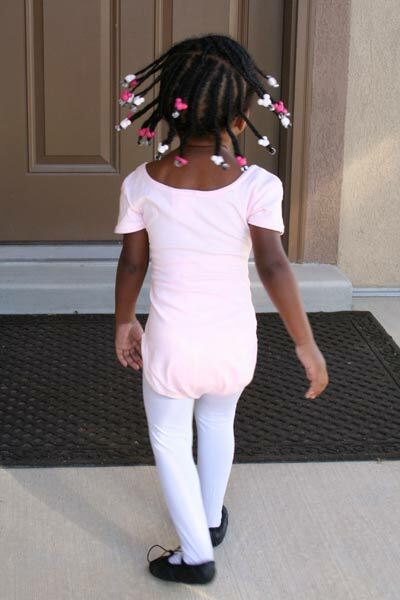 She asks every morning if she gets to go to dancing class. 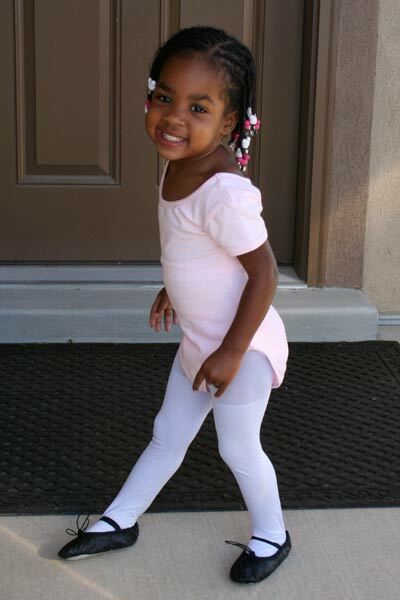 She loves to put on her dancing clothes and ballet shoes. Zoe's favorite thing about dance class is the wall of mirrors. She tends to get distracted from whatever she is supposed to be doing because she just wants to stand at the mirror and watch herself. It is pretty cute. She also loves that her teacher gives them a piece of candy at the end of every class. 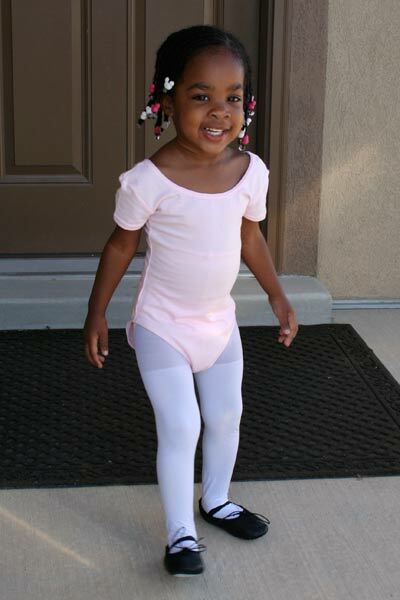 I am really excited to watch her develop in dance class. I love that she is having so much fun, but I love that she is learning a lot too. Not only is she starting to pick up a couple of dance moves, but she is learning to take turns, wait in line, follow directions, cheer on her friends, and is getting better at left and right. I think it will be a great experience for her. Too cute! I am so glad she is enjoying herself! Such cute pictures. My sister in law teaches little girls fairy tale ballet and I am always amazed at how she gets those little girls to do everything. I hope someday we move back to Utah so Baylie can go to her class.